The Book Thief is an American “kolossal” costing 19 million and distributed worldwide with overall takings of almost 80 million. In Italy is was not as huge a success, where it took in about two million euro, and the awards it received were not that gratifying. Director Brian Percival had to settle for a few accolades, while on Oscar night only John Williams ran away with a nomination for his extraordinary soundtrack. The film was shot in Germany, in the various locations where the action takes place (Berlin, Görlitz, Babelsberg Studios in Potsdam), enjoying a superb and dramatic reconstruction and a credible historical setting. The film adaptation of the international bestseller by Markus Zusak,The book thief, written in 2005 and translated worldwide, is proof that good stories never end. The author, screenwriter and director managed to write an exciting and original movie based on the much exploited subject of the Nazi persecution of the Jews. 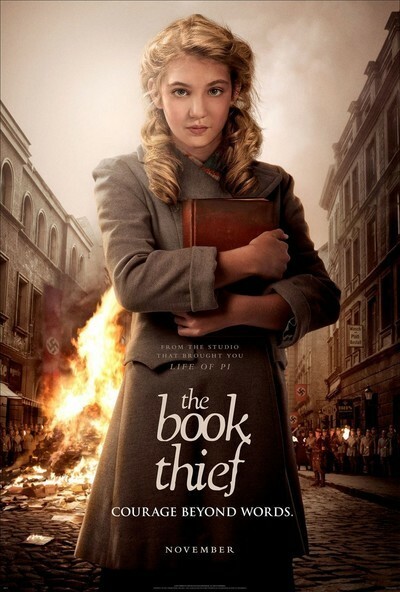 The book thief is set during World War II; the protagonist of the story is Liesel, a little girl abandoned by her mother and adopted by Hans and Rosa Huberman after her younger brother’s death. Liesel can neither read nor write, but soon fills the gap thanks to her adoptive father, and becomes a bookworm. The film follows the deep friendship which is born and develops between Liesel and the fair-haired Rudy, a promising athlete who falls for her from the very first moment. The outbreak of war reveals the full horror of the Nazi ideology with squads organizing the burning of books on bonfires followed by the persecution of Jews and communists. Liesel’s family risk everything by hiding a young Jew, Max, who develops a lifelong, fraternal friendship with her. Max will be the one to spark Lisa's love of reading and writing and to stimulate her creativity. The tragic ending is nonetheless drawn lightly by the director, without melodramatic turns and using the technique of Death as the narrator. Death accompanies the audience from the first (awesome) sequences of long shots in the movie. The book thief is a flawless film. It is well scripted and shot using colours that create a sense of the grace of yesteryear. It is edited with quick scenes and the performances of Sophie Nélisse, Geoffrey Rush and Emily Watson are extraordinary. 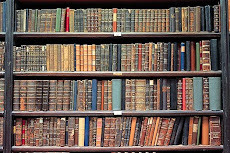 There are many differences with the novel; a real coming of age story of a young writer narrated by Death. But this is to be expected given the difference in language between cinema and literature. Director Percival and screenwriter Petroni favour the spectacular side, making it even more credible thanks to the wonderful special effects which portray the dark times of the bombings over Berlin. 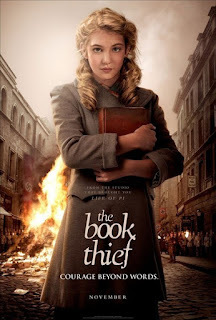 The book thief shows that it is possible to shoot a “kolossal”, money-making movie, instead of the same old blockbuster starring mechanical monsters, superheroes or monkeys out to conquer the world. Recommended.